Our poodle Doolin has a puppy pal a few doors down called Bella who is a small white Yorkie. He always stops by her house during his walks to say hi to her. Well last night Bella's mom dressed Bella up in a costume and came by our house for Trick or Treat. Doolin got spooked out by Bellas costume and starting growling and barking then ran away. Then Bella got spooked and took off for home. I didn't get a chance to give her a treat, so I made this little dog biscuit box as a peace offering from Doolin to say "I'm sorry for growling at you Bella" Hopefully they will make up and be best buds again. Oh dear, poor Doolin and Bella. They both gave each other a scare. 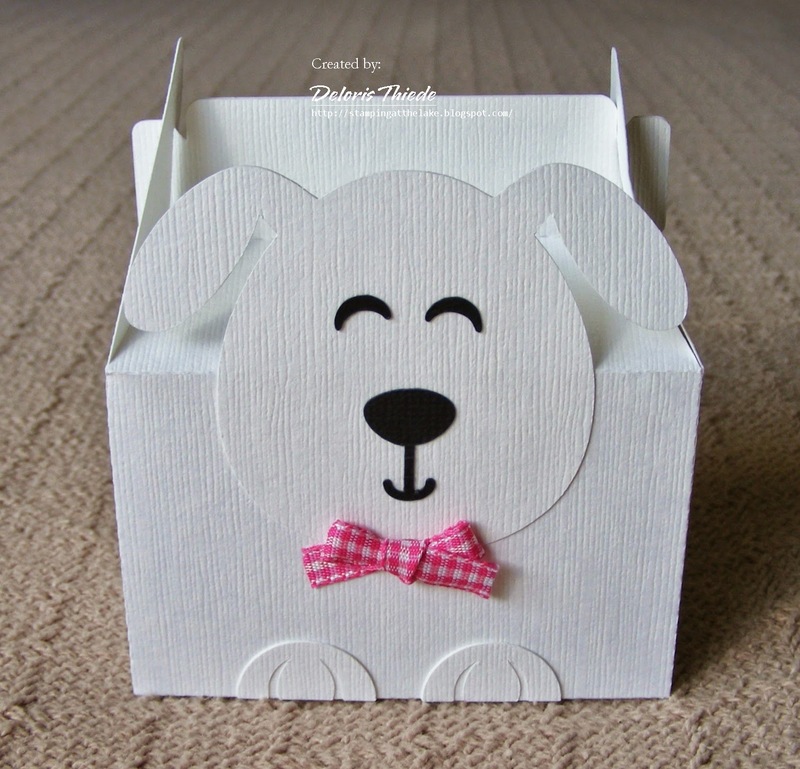 How sweet of you to make this CUTE doggie box for Bella as a peace offering. Glad all is well now. What an adorable gift box! I love the simple color palette and that doggy is doggone cute! Thanks for propping this on our front door at 613 Avenue Create! Oh what a fabulous cute gift box. What a cute, funny and sad story. What a sweet gesture on Doolins part. Did you get this at the silhouette store? Got a chuckle out of your little doggie spat story. Hope they are friends again...Halloween can be tough on doggies! What a cute little box!